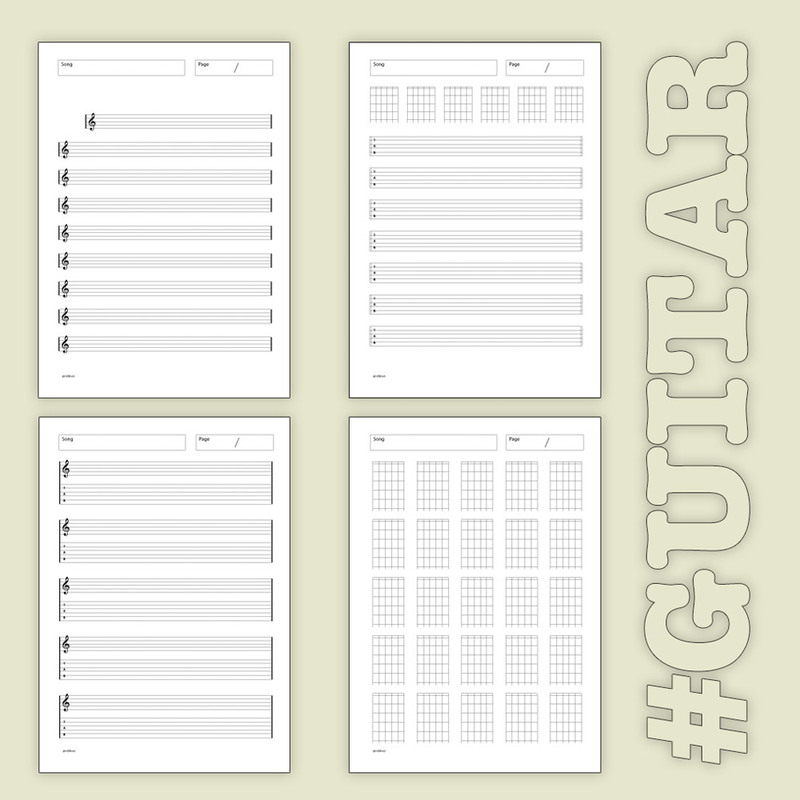 Click on the images below to download a pdf file with four different sheets for all your guitar playing needs! 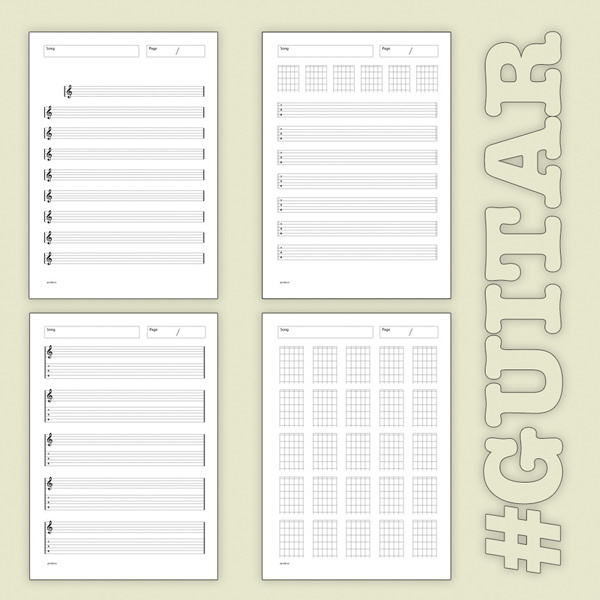 The four sheets are a treble clef score, a tab sheet, a score and tab and finally a chord sheet. Once you have clicked on the image you can save the file and print out the page or pages that you need. I hope you find them useful!